Stuart from EarnersBlog done a brief experiment “How many of the Top Make Money Online Blogs actually show you how to Make Money” using the list Top 100 Make Money Online Blogs at 45n5. Based on his resulting experiment report, most of the top money making blogs provide lesser percentage of money making posts using last 20 posts as sample data. He emailed me asking for some comments. Personally i find his re-ranking experiment based on last 20 posts of the top 30 money making blogs is interesting. However, i feel that the experiment criteria is not enough to justify the result. Criteria such as timeframe and frequency of posts should be in the criteria. 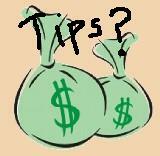 One important unmeasurable criteria is quality of post made by those top money making blogs. Some of them although with lesser post frequency but provide very good informative insights or exclusively interesting experiment experience. Even opinions of the top bloggers regarding recent industry issues sometimes are very enlightening. Quality of post is real hard to measure. Maybe quality of a post can be measure by inbound links to the post? Well.. this is just a brief experiment done for fun Nice job Stuart! 19 people had something to say. What do you think? 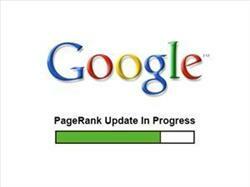 With all the recent discussion of Google PageRank downgrade, i cant stop myself from joining the Google pagerank talk. You can see lots of threads about sites dropping PR. You can check out a list of solid sites having their page rank knocked down… Shoemoney hinted that his blog still maintain at nice PR. From observation, besides the solid sites, lots of sites affected are those directory sites and blogs. Famous web directories such as avivadirectory and alivedirectory now having PR 4. When i do a google search typing their name, they are not even listed in the 1st few pages. Before this recent PR update, many webmasters anticipating Google to update their PR hoping for the better ever since July/August… never did they know google’s algo change affect lots of sites badly. Certain sites having penalty directly such as directories, blogs that re-blog other blogs content, sites like statscounter with no true content value besides having lots of backlinks, have been knocked down. You may think why your site which dont buy/sell links also getting knocked. This is actually not really your fault. Your site might probably received lots of PR juice previously… with sooo many sites losing their PR, indirectly your site is being affected… since now you are getting lesser PR juice from lower quality sites perceived by google. With so much PR juice being recover by google, for those sites that still managed to retain their high PR (PR 5 and above), they are probably consider quality sites and should consider themselves having “increase” in PR relative to the rest of the sites. There are still some sites getting PR increase, this is really rare. I guess either the site owner done lots of link building enough to offset the negative impact or lucky enough to build link with quality sites. I think Text Link Ads must have suffered quite a bit from this recent PR adjustment. Personally, i’ve just cancelled most of my link renewal as most of the site’s PR dropped significantly, typically from PR 6/7 to PR 3/4. The marketplace now probably flooded with PR 4 sites. Somehow i have a feeling that link building with reciprocal links is more favourable instead… even though everyone underated it. Reciprocal link building is natural, link buying is un-natural. Anyway, i dislike doing 3-way link exchange, i’ve met enough webmasters that said they “accidentally removed” the link. I think purchasing link from very related sites is still viable… but not from directory, directory link are now worthless. With so many sites being knocked to PR 4 … i guess sites with PR 5 and above are probably even more valuable now. Perhaps this is what google wants. Anything above PR 5 are of high quality content and info… not just having tons of backlinks. Now… the next task for SEO specialists… speculate the factors affecting the PR. Anyway…. dont be bothered by PR too much. I have a PR 3 site having over 10k daily visitors and have a PR 5 site having only 500 daily visitors. So PR doesnt mean much except to flaunt it to fellow webmasters 😀 What’s more important is SERP. Work on your SERP, good traffic is more important than anything else for a website. 13 people had something to say. What do you think? This is the final installment of Ways Of Making Money Online. Check out part 1 (buy/sell products/services) and part 2 (advertising revenue). The last type of making money online is through affiliate marketing, commission revenue. You can usually see the result a lot faster than the route of developing a website earning advertising revenue. Please note… faster doesn’t mean easier. Affiliate marketing, you earn commission revenue by promoting other merchants products/services. The merchant will pay you for a commission for a sale, a lead, a subscriber or a specific action such as zip code submit. An affiliate marketer with no established site, usually setup a brand new site target specifically for the products they are going to promote. Then setup advertising campaign through advertising network such as Google Adwords, Yahoo Search Marketing, etc, to drive traffic to the site. For a properly tuned advertising campaign, you will usually have more commission revenue than the expense on the ad campaign. The best part of making money through affiliate marketing is… you do not need an established developed website to make lots of money. The worst part is the risk is losing your advertising money and the effort spent as you have to keep tuning your ad campaign until it works. Most people gave up at the part tuning the ad campaign. We have to keep in mind… those successful affiliate marketers lost lots of advertising dollars through testing, testing and testing until they reach the stage of shaking leg in front of the screen watching the profit figure grow. Well, every business involve risks. No Risk… No Gain. Google Adsense Referral, Commission Junction, AzoogleAds, Linkshare, Clickbank are some of the popular affiliate network. Web entrepreneur making money online do not based only on 1 type of revenue… usually combine multiple types. There are pros and cons of each. Some require more technical programming skills, some do not. These 3 parts are actually meant for newbie who have no idea what are the avenues of making money online. There are a lot more complex business model to earn money online. Choose one that you think you can do it. Jump into it… whatever it is, don’t give up. Determination is the thing. 18 people had something to say. What do you think? Over the past months, SiteFever’s ranking has been increasing slow and steady It doesnt mean anything but i will just mark it down for record purpose. 3 people had something to say. What do you think? 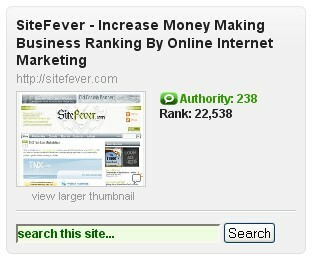 While reading at some money making blogs, i chanced upon a text link advertising network, TNX.net. Not sure what it is from the short domain name but it is definitely easy to remember. Curious of what it will provide, i spent some time checking out the site. 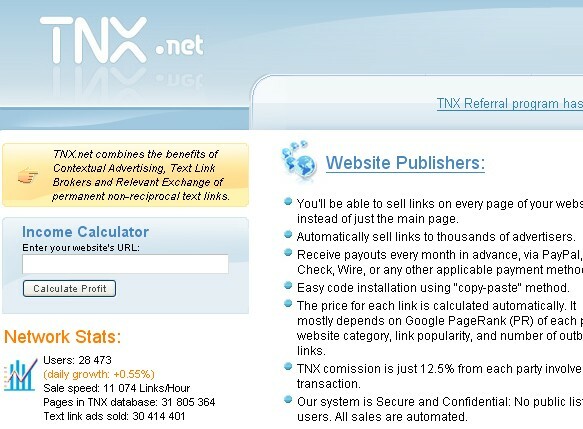 TNX is similar to other text link advertising networks, providing a text link marketplace for link buyers and link sellers but with a fairly different interesting model. TNX.net lets you sell text links easily on every page of your site or blog and it can be used with any advertising network. TNX is using some sort of point-system (TNX-points). TNX-points have monetary value. Advertisers can purchase TNX-points using paypal and use the points to buy links of their requirements in the network. Publishers earn points by selling links on their sites based on the quality of the publishing page (calculated with search engine rating). Publishers can then sell their earned points to TNX and get paid via PayPal, or sell their points to other TNX members privately. This also means that publishers can use their earned points to buy links in the TNX network. Advertisers can easily create campaign in three steps. 1 – Choose subject, link popularity of websites, quantity and quality (PR) of pages you want to display your links at. 2 – Upload your link info. 3 – Your campaign is on its way to be moderated and activated. Advertised links are displayed in a pool of pages of different websites that fits the advertiser’s criteria. Publishers do not have to worry that their sites having no link buyers in the marketplace. As long as your site fits the criteria of the link buyer, you will be in the pool of selected sites waiting to display the buyer’s link and get credits for it. A great system definitely have a good affiliate program. TNX provides an opportunity for publishers to earn more TNX-points by referring people to use TNX’s service. You will earn 13.3% of the earnings of your referral… for life! There is no minimum payout or confusing restrictions because you earn the TNX-points directly the moment the advertiser pays to your referrals! On top of the great affiliate program, after you join TNX as a webmaster and your website gets approved, TNX will fund your account with 5,000 TNX-Points absolutely free of charge! That means free links advertising for you! Check here for more info about the bonus TNX-Points. Hmm… i guess what TNX could probably means… “Textlink Network Xchange” 😉 Personally i think this is a very interesting ad marketplace, especially the part where TNX-points can be sold privately to other members. TNX not only makes purchasing a pool of links easy, it also gives publishers a chance to sell their links in their low rating websites. Is your site performing badly with TLA? Why not give TNX Network a try. 9 people had something to say. What do you think? Received an email request from Jason (SuccessForYourBlog.com) to give a short mention of his post Top 100 make money online feeds all in one place. If you are interested to read about money making blogs beside John Chow and Shoemoney, check out some of the other popular money making blogs in that post. You can also check out 45n5’s Top 100 Money Making Blogs. 6 people had something to say. What do you think? I just happen to saw this picture while surfing the net.. so i decided to post about RSS stuff again. I’ve been reading some blogs and articles, everywhere is talking about RSS RSS RSS… This month, John Chow and ShoeMoney is having a RSS competition. Actually RSS is first introduced in late 1990s, it is just becoming more mainstream recently. Probably due to more and more end-users being educated what RSS is and learnt about the advantages of subscribing to RSS feed. What i guess is probably due to the current state of email newsletter spam. Once a reader learn about the concept of RSS, they will most likely ditch the email newsletter route and fall in love with those sites providing rss feed especially full rss feed. The more they use, the more they want to use. They can easily control the subscription, which RSS news to subscribe / unsubscribe. They dont have to worry about the “unable to unsubscribe” problem with email mailing list. 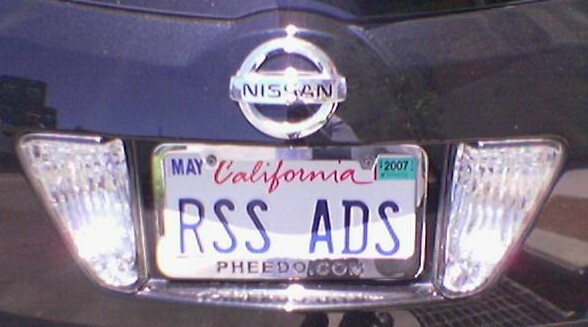 In the past, RSS feeds typically free of ads. With new specialize advertising network focusing on RSS Advertising, webmasters have more avenues to earn revenue. The following is a brief list of advertising networks that provide you a way to earn revenue from your RSS Feed. 8 people had something to say. What do you think?